New research shows how stress triggers the brain’s resident immune cells, called microglia, to remodel neural circuits, leading to synaptic changes associated with anxiety and depression. The brain’s resident immune cells are called microglia. They are responsible for fending off infections, but this is not their only role. They also help build and remodel neural circuits. Such activity is constantly going on in the brain. In the current study, researchers led by Ronald S. Duman, Ph.D., a 2005 Distinguished Investigator at Yale University, investigated what happens to the brain’s microglia under conditions of chronic stress. Dr. Duman was also a 1997 Independent Investigator, 1989 Young Investigator, and the 2002 Nola Maddox Falcone Prizewinner. 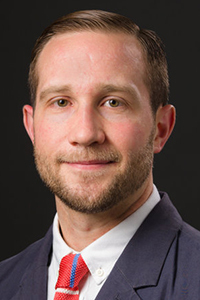 Eric S. Wohleb, Ph.D., a 2016 Young Investigator, is first-author of the paper and initiated these studies as a postdoctoral scholar in the laboratory of Dr. Duman. Dr. Wohleb is currently at the University of Cincinnati College of Medicine.